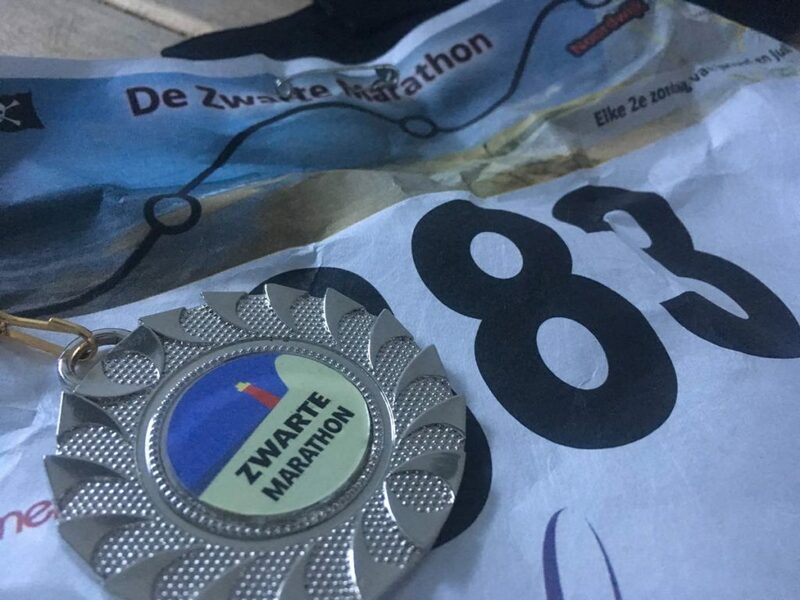 When I saw there was a 3h30 run scheduled for this weekend, I decided to see if there was a small/local marathon somewhere I could join… I found the ‘The Hague Beachmarathon’, (a.k.a. 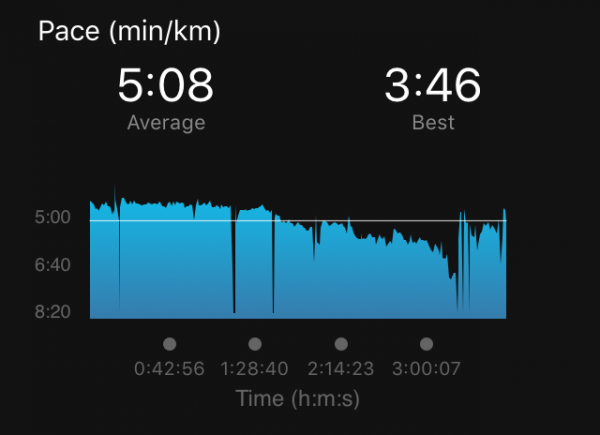 ‘The Black Marathon’) which sounded really fun; small-scale, and pretty simple; after a short run out of town onto the beach, follow the beach until the 21km aid-station, turn back, and run back to the finish-line! 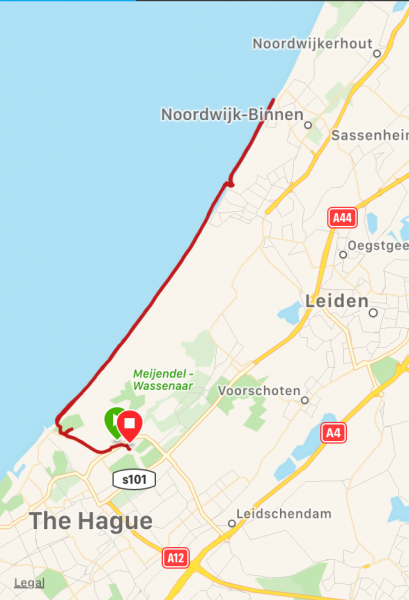 The wind is getting stronger, the body is getting tired, the beach surface is getting worse… And the end just doesn’t seem to get any closer… But eventually I make it to the beach-exit, and I start my way back to the finish. There’s one corner where I know I have to pay attention, since that’s where we almost went the wrong way earlier, but now I overcompensate… I find myself on a road, and realise that I don’t recognise this from the way out… I plan to take the next turn to get me into the right direction, but when there’s no turn coming the road takes me further from where I need to be… So all I can do is turn around a run back… Well, that’s just an extra kilometer for free! At the finish I see that the 1st woman overtook me when I did my extra loop, but I still came in 2nd male / 3rd overall after a really fun (and slightly hard) run! It was a good training day; not just physically, but also for the mind… With all the mental challenges ahead (mainly the potential ‘boredom’ and lack of focus on a endless multilap course at the 2020 deca) Danielle (animo-sportpsychologie) is helping me to develop the right mental tools for my crazy plan… This was a good day; I went in without any plan, and found my ‘flow’ pretty easy, so there’s quite a bit we can learn from today! Oh, and this is my first marathon where I’ve seen wild seals on the course… So definitely a good day!